If you are taking any airline except for Allegiant (see our blogs on our trip to Oregon), you’ll likely land at Phoenix at Sky Harbor Airport. Terminals are large and do include amenities like moving sidewalks for some of the long walks from your arrival gate down to baggage claims. 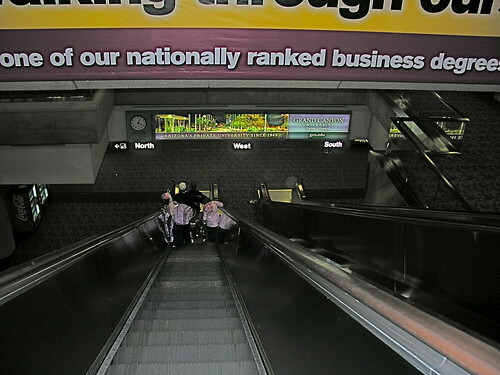 In Terminal 4, the most used one by airlines to Phoenix, baggage claim is on a lower level, with passengers able to leave on both the north and south sides of the terminal. I make the distinction of north and south sides since you’ll want to make sure where you are going for pick up. If you’re getting a bus to the off-site car rental location (all housed in one large building off of the airport’s premises), you’ll be picked up on the south side of the terminal. But, individuals can still make connections on the north side, so make sure you know which side of the building you’ll be on. If you have someone you know picking you up, there is a free lot near terminal 4 for “cell phone calls” where someone can wait for you until they hear from you that you have arrived. A posted light board gives flight statuses, but don’t expect that to be up to the minute – by husband heard from me that I’d arrived before the board even indicated we’d landed. If you landed in the daytime, you’ll see the vastness of the Valley of the Sun spread out for many miles in every direction. Unlike many airports that are tucked at the edge of the development, Sky Harbor had the city grow around it. Depending on what your transportation is and ultimate destination, you’ll be heading in any number of directions. Most of the car rental locations put you west of the airport. If you’re heading to downtown Phoenix, you go further west; to Scottsdale, you’ll be heading northeast, the “Easy Valley” – that’s southeast (Chandler), Tempe is east, the west valley includes Surprise, Buckeye, Avondale. Points north of Phoenix include resort destinations like Sedona, Prescott, Flagstaff or the Grand Canyon. Two to four hours will get you to the Grand Canyon or most major destinations anywhere in the state. 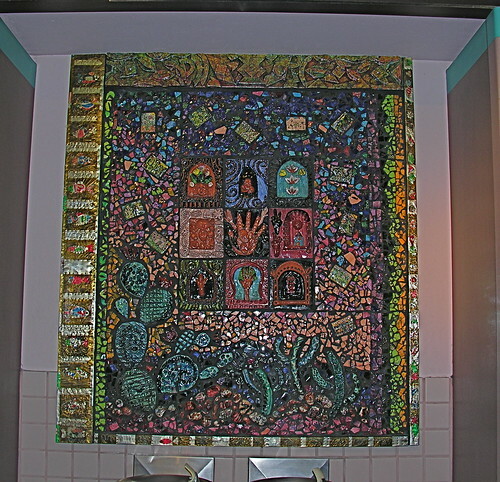 Tucson is south on Interstate 10 it and can take one-and-a half hours to Tucson – or more depending on the amount of construction and traffic. Arizona has some natural and historic attractions, as well as manmade ones, that could easily take you weeks to visit. We’ll spend the next several weeks exploring them. Tomorrow: The first of several manmade attractions as we offer an overview and visit one of the Native American casino/hotel properties near Phoenix. The environs are gorgeous, and the amenities include a lot more than just a casino if you’re not the gambling type. And, the location is only about 15 minutes from the airport. This entry was posted on Tuesday, December 1st, 2009 at 6:00 am	and is filed under Air Travel, Arizona, Scenery, Travel. You can follow any responses to this entry through the RSS 2.0 feed. You can leave a response, or trackback from your own site.